Explore Las Vegas' surroundings by going to Overton (Valley of Fire State Park & Atlatl Rock) and Hoover Dam (in Boulder City). 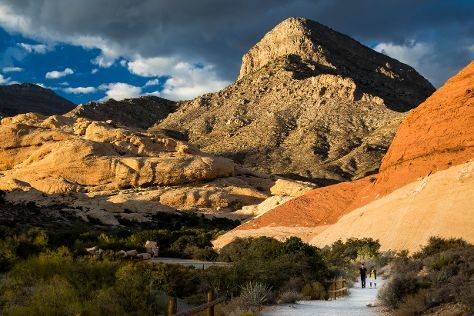 There's still lots to do: explore the striking landscape of Red Rock Canyon National Conservation Area, take an unforgettable tour with a helicopter tour, make a trip to The Strip, and examine the collection at The Mob Museum. To see where to stay, photos, and more tourist information, read Las Vegas trip maker site . If you are flying in from India, the closest major airports are McCarran International Airport and Laughlin Bullhead International Airport. In February in Las Vegas, expect temperatures between 21°C during the day and 8°C at night. Wrap up your sightseeing on the 21st (Thu) early enough to travel back home.